I had a few key clues as to what the problem with this one was. Apart from the error message and the out-of-position lens, when I put my ear to the camera, I could faintly hear the zoom motor running when I switched the camera from playback to shooting mode, so I knew that the zoom system was getting power and the motor was at least somewhat functional. Use all your senses! None of the usual tricks of power cycling and pushing various buttons and rotating and holding the zoom lever to reset the lens and camera worked, so I began disassembly to have a closer look for the problem. Here’s what I did to fix it. Some initial hints in case you are going to attempt this repair yourself: keep in mind that it’s tricky, the camera is fragile, and there are tiny parts to worry about. Be careful and gentle! I take no responsibility if your repair attempt fails, but I think this repair was fairly easy. For repairs like this, I keep small containers handy for screws and other small parts, and I use a plastic shoebox-size container to keep larger assemblies and parts organized and away from dust. You’ll want to do the work at a well-lit workspace, as free from dust as possible. Speaking of dust, the disassembly that I describe here is several steps toward what you will need to do to get at the camera sensor and other internal parts, if you need to remove dust from the optical path or from the sensor itself. The only tool you really need for the disassembly is a small Philips “jeweller’s” screwdriver. If you are even contemplating doing this repair, you probably already have one. A small pair of tweezers is also helpful in reconnecting some ribbon cables after the repair. then remove the 2 screws on each side panel (total 4). After getting the side panels off, with some gentle prying on the sides, front, and bottom, you should be able to free the front and back panels. The front panel (the lens side) will come off freely, but be very careful with the back panel. There is a ribbon cable connecting the display to the camera. For this repair, disconnect it by pulling very gently on the ribbon cable, away from the connector. 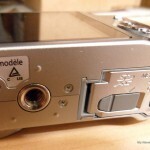 Prior to pulling the cable from the connector, you might need to release a small locking tab on the connector. Usually that can be accomplished by pulling the tab away from the connector along the line of entry of the cable. Now we are getting close, but there are still parts to be removed to get at the problem lens to fix it. Next up, you will need to remove the 3 black Philips screws in the corners of the chrome metal shield plate over the back of the lens and sensor. It was at this stage that I could finally see what the problem was. Much as I had suspected, the pinion and circular rack had gotten stuck at the end of its range. I can’t be sure how this came about; certain battery conditions or other error conditions may have caused it, but regardless, it was repairable in the following way. I found that I could disengage the stuck pinion gear by very gently bending the corner of the black plastic near the motor, and in that state, I could rotate the black lens base such that it pulled the lens back into its “off” position and the lens cover closed. The usual caution: be very careful and gentle when you rotate the black lens collar. While doing that operation, I gripped the corner of the black assembly near the stepper motor and pinion gear and bent it very gently to disengage the pinion. That is the critical operation. Watch the pinion closely to be sure it is disengaged. I was then able by rotating the toothed collar to get the lens moved back into its closed position. So far, so good. Now to reassemble and test the thing. To reassemble the camera, first carefully re-install lens module into the main camera body and re-install the 3 silver screws. Then, reconnect the 2 ribbon cables from the lens module to the camera PC board. Next, connect the ribbon cable from the back panel display to the PC board on the camera. (I found it easier to get this cable into place before putting the shield plate on. A pair of tweezers on the tabs of the cable helped, but be careful.) Now install the shield plate and the 3 black screws to hold it. Be careful to keep the plate aligned with the screw holes and guide tabs as you install it. Now, gently put the back panel into place, being careful not to strain the ribbon cable. Be careful with the position of the Play/Camera switch on the back; positioned correctly, it should engage the actual switch on the PC board and click gently into up and down positions. Put the front panel and side panels back on. Re-install the side panels and the 4 side panel screws, and the three base screws. 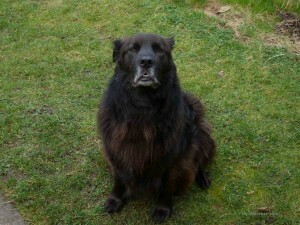 Stop fiddling with the camera and give me a biscuit! i have the same trouble with my zs8 but i follow every step and when i get to the pinion part i stuck at all, and i found sand near the lens, i know that sand its stuckin the rotation of the lens and i want to know if you can teach me how to get out this sand of the rotation system, thanks for the help. cxavez, Sand is tough to get out, and you’ll need to be very careful. For jobs similar to what you describe, I have sometimes used a household vacuum cleaner such as a Shop Vac, but with a thin tube made from stripped wire insulation taped in an airtight way to the end of the hose so as to allow you to get suction precisely into small areas in fragile mechanisms and difficult to reach places. Alternately, or in addition, you might want to use a can of compressed air with a fine nozzle tube, or an air blower, to gently dislodge the sand, but I prefer the vacuum method over that because it has a better chance of getting the sand out completely, rather than pushing it to some worse place in the camera. Thanks for this post – without it I wouldn’t have had the nerve to open up my ZS8 to remove a huge bit of dust that had found its way onto the sensor unit. I followed it to the word and there were no unexpected surprises. You’re welcome, and I’m glad that you got the dust removed from your camera sensor successfully. I just looked at your blog. Very interesting. Especially enjoyed reading your essay on the digital photography revolution. I do a lot of repairs of everything from cameras to houses to cars, and am writing a book about repair now. You’ll probably see news of the book here in a few months. Q? I have dust showing up only screen. What is the “easiest” way to remove this stuff that looks like “floaters” in the eye? Just to clarify, you see the dust/stuff only in the viewing screen on the camera back, but not in the images uploaded e.g. to your computer? If that is the case, unless the dust is really impeding your viewing, I’d just leave as is because of the risk of damage if you try to repair it. If it really is problematic, some of the disassembly photos in the post might be of help. I too have black shadowy spot on the lower left of the LCD screen when it is turned on. It also shows up in the uploaded photos. What is wrong? what can I do to repair it or where to take it? It is a Panasonic DMC ZS8? Hi, Louise. I just read your question. One thing to check first yourself would be to inspect the lens exterior when the camera is on, just to check whether the spot is due to some dirt on the exterior of the lens. If the spot is not distinct (looks out of focus) you might just have dirt on the outer lens surface that can easily be cleaned without taking the camera apart (use a soft cloth gently). You might be lucky; dirt on the outside might the problem! Hi,I dissembled my zs8 to clean out before I saw your instructions but after viewing a Utube video of the process. After reassembly the camera will not function at all. The only thing you mention different to what I did is to ‘take the battery out’ so have I blown a circuit by leaving it in? Any other suggestions please. 1. There is a chance that the device has been damaged if it has been taken apart with the battery still connected. Hard to know for sure. Re the battery, make sure that it is fully charged when you try out the camera; it is also possible that the battery is just discharged. If you know someone else with same or close model of same camera, maybe you can borrow their battery and test with that, just to ensure that the battery isn’t the problem; the battery may have internal circuitry that was damaged. 2. If everything looks OK externally, and the battery was OK/charged, then maybe it is worth taking apart again, so that you can have a look at whether everything has been reassembled correctly. Especially, take a close look at the ribbon cables, to ensure that the ends are properly seated in their connectors. 3. Also make sure when you reassemble that switches such as the power switch have mechanical engagement to the plastic control extensions on the case; it just might be that the power switch isn’t actually getting turned on when you move the external switch control. Come to think of it, that seems a likely trouble spot. Hi Dave, we have a second Panasonic Lumix – older model so have spare batteries which are definitely charged. I have disassembled again and re-connected ribbon cables as firmly as possible. I did try to get to the on/off switch but could not get right in there. However was able to see a metal piece sliding inside so can only presume the switch is activating something – good suggestion. Camera still doesn’t work so perhaps that is the end of the line? Thanks for your help. Gordon. 4. Use the voltmeter and see if you can measure any voltages anywhere on the board, any signs of life. 6. Remove battery, reassemble, install battery, try turning it on again. You might be lucky. If all that fails, maybe try putting it up for sale e.g. on ebay as-is, for parts. Maybe someone has a use for the parts – anything to keep it from becoming electronic waste. I have the panasonic DMC-ZS5. I can’t figure out how to disconnect the orange ribbons. Can you explain that in better detail? Hi, Meredith. I think if you click on the picture labelled “shield plate removed”, you’ll get an enlarged view of how those ribbon cables need to be connected. All you probably need to do is push them gently into their sockets in the orientation as shown. You might also need to slide part of the connector sideways to lock or unlock the cable -sorry, I can’t remember if that is needed for the ZS8, and I don’t have a camera open at present to check. My cousin accidentally dropped the camera in fresh water stream when we were hiking. After drying the camera by blowing hot air I was able to get the camera to start up. It was a little hazy since the lens had some moisture inside. I was forced to open up the camera and followed the steps mentioned here. After getting the moisture out with a muslin cloth and cotton swabs, I now get the error (System Error(Zoom)). When I turn off the camera its lens sticks out and when I turn it back on the lens goes in and out, when its trying to adjust the zoom and errors out. Any suggestions as to how to go about approaching this? I am basically at the point of disposing this camera and ordering a different one. 1. It sounds like you might actually have a problem with the zoom detection, possibly a sensor that is not connected. That might cause what you are experiencing, i.e. that the lens zoom mechanism is “hunting” because the system cannot determine its position. Therefore, check carefully for any cables that are not properly connected that might connect to sensors, or any connection problems similar to that. Also check the conductors on the ends of the cables for any deposits or corrosion in case they need cleaning. My daughter just bought a DMC ZS8 and it worked fine at first and then she took it outside for pictures and it said to reinsert the SD card . We did that several times changing cards and taking the battery out and it still happens. Any clue? Don’t have any good suggestions for you on that one. I’d suggest try formatting the card(s) again, and also try a few other cards if you can get your hands on some for testing. Not sure if I can provide any help with this one. Sounds like a serious problem on the main board but it might not be; a few things I’d look at first would be the record/playback switch, in case the plastic switch trim is disengaged from the actual switch inside or otherwise is malfunctioning. Also, worth checking the easiest things first: Sounds like you’ve checked the battery, and the problem doesn’t sound battery related, but if you have a friend with a similar camera with the same battery model, maybe you can try another battery. Also try a different storage card, just in case the card has something strange going on with it that is making the camera go into that abnormal state. Also check that the mode dial isn’t in some undefined state, and also that it isn’t disengaged from its switch. Might also be worth a look inside to see if there are any ribbon cables inside that have become disconnected, or if anything else is amiss. Hope any of that helps but this sounds like a tough one to fix. Hi Dave. MANY THANKS you’ve saved me a few bob. I have a Panasonic Lumix DCM-TZ20 which developed a focus problem, I was getting a focus error on the screen the lens was out when the camera turned off or on but would move in & out when turning the camera on or off. this problem happened when I was taking a close up photo rendering the camera useless. It was your info that gave me the confidence to have a go. I got it striped right down as you did but my circular rack was mid-range so I removed a ribbon cable (10mm) from near the small focus motor then 3 screws and a little 3 pronged bracket then the small focus motor without removing the small ribbon cable which is soldered one end to the motor and there was a small screw (worm)drive on the end of the motor which I cleaned with a cloth, this was all very fiddly and I did not expect it to work. I then reassembled the camera and hay-presto to my surprise it worked. Peter, you’re very welcome, and great to hear that. Many times, I’ve taken non-working products apart, fiddled a bit, not found anything obviously wrong, cleaned a few things, and then found the products to be working again after putting them back together. I’m writing a book now about the value of tinkering with and doing (and writing about) repairs, and my experiences with same. I’ll probably finish it early 2013 and will post about the book on this site then. I look forward to your news of your book, will you sell it on Ebay? I have just scraped my 18 year old Nissan that was going like a dream but would not have passed our MOT test. I now have a new Mazda and you can’t even see the spark plugs I have worked on cars for years but now I’m an old fart I think I will leave it to others. I take it from your photos you live in The States I live near Liverpool UK. Hi, Peter. I’m just learning about publishing options for my book. I’m considering mainstream publishers to get access to distribution and marketing resources, but no decision yet on how to publish, and still quite a bit of writing to do. One of the topics in the book is re designing things so that they can be easily repaired or else recycled. I can appreciate your comment re new car engines and other hard/impossible -to-repair items such as various modern electronics products. I’m actually located on the west coast of Canada. Hi there, My Lumix ZS6 gave a Focus Error on the screen and the lens would stay open when I tried to turn it off. I could force it closed and then turn it on and it would open just fine but would go to the Focus Error again. It was the comment by Pete that gave me the confidence to keep trying. First I took the back and front off but it looked too complicated so I put it back together. Then I read Pete’s comment and decided to try again and go deeper into the camera. Lindy: That’s great to find out about. Many, many times I’ve disassembled products to find some minor thing wrong or out of place, that could quickly be corrected. See “Most Repairs are Easy” for another example. I’ve made that phrase the title of one chapter of my book. And thanks, Pete Hodge, for the words of encouragement! I have followed your explanations up to the point where you say the ribbon cable must be disconnected by pulling very gently away from the connector. I pulled very hard on one of the large ribbons and it did not come out. I am afraid to pull harder and of not being able to push it back in place if it comes out. I have seen on other connectors that some flip to release pressure on the cables. My connectors on a TZ 20 look like the ones on your pictures. Hi. I wonder if you have different connectors than what I had. Often other variants of ribbon cable connectors have a locking tab that you can release by pulling on, with the pull direction usually in the opposite direction of the ribbon cable insertion. 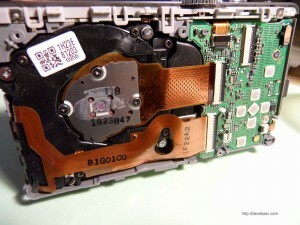 Typically what that tab does is put extra pressure on the ribbon cable from the side opposite the electrical contacts, and thus contact is better assured, as well as mechanical integrity. I’d definitely look for something like that. Alternately, have a look at the other end of the same cable to see if the other end disconnects more easily. You were right, the connectors have a locking tab that flips. It is so small I did not suspect it could flip open in the direction of the cable. It is a thin black plastic 1,5 mm wide that looks identical to the one’s on your pictures. I was able to take my lens apart and after cleaning they work better. Glad you were able to solve that problem and clean the camera. I’ll update the blog with the connector details soon. I probably missed that detail re the connector tabs in the original post. Thanks for the detailed instructions and also the little bit of confidence you inspire. I did a dumb thing today. My wife and I walked the beach this morning and stopped at some rocks to snap a couple of shots with my ZS7. Naturally I was paying more attention to the shot than to the huge wave that crashed in sending not only water but lots of sand all over us and more importantly my Lumix. I let it dry out and eventually I used my manual blower and cleared away the obvious grains of sand. The good news is that none has yet made it to the sensor, the lens still zooms in and out and it still takes great shots. The bad news is that now the curtain in front of the lens will not close. Which only means the beginning of the end. I don’t think that your fix will take care of this issue, but i thought you might have some insight as to how to get into the inner workings of the curtain. I am not particularly handy but I am willing to learn. If you have any thoughts, I’d be very appreciative. Tom, I probably don’t have much wisdom to offer in this case, but in the likelihood that what is preventing the curtain to open is trapped sand, what you might want to consider using is a vacuum rather than a blower, so that you know that the sand is getting extracted rather than pushed to some new location where it might be a problem for some other mechanism now or in the future if it moves around. What I often use for a precise, controlled vacuum for small electronics/camera cases like this one is actually a length of 15-25cm of thin flexible tubing taped to the end of a hose from a conventional vacuum such as a Shop Vac. I typically get such tubing as wire insulation, by stripping it from wire or cable left from other repair jobs, perhaps around 1.5-4mm inside diameter, but you could also try using a straw or whatever is handy. You just want to be able to direct the suction precisely to where it needs to go to get the sand out. Also, in your case, I haven’t worked on the curtains before and I’m away from my ZS8 right now, but if the mechanism is a spring-loaded one, you might be able to dislodge the stuck curtain by gently pushing it with a finger tip (and possibly then vacuuming away any sand grains that may have been released in that process). Hope any of that helps. Hi Dave thank you for your site … it confirmed what I have already done so far. After my son dropped his ZS10 while Kayaking he gave it to me to fix … Yuk!Yuk! I think that may be the reason that it will not turn on as there was nothing else noted so far. I did notice a water stain on the lens which I hope lens cleaner will remove. I am trying to locate a schematic so that I may confirm parts/numbers as well as placement to ensure a correct reassembly. Any help will be appreciated. Hi, Rick. You’re welcome, and I’m always glad to find out that my posts are of use. Regarding your ZS10, I think a schematic might be hard to get, and the manufacturer might not even disclose it in order to keep some of their circuitry details secret. However, I was able to find and download a service manual in PDF form for the ZS10 by googling on “ZS10 Service Manual” (not the user manual). That service manual turns out to have a parts list and assembly diagrams in it that would probably be of help to you, so I’d suggest getting the service manual via a similar search. Be careful, though, and use a virus scanner on the download; some of the service manual download sites can be spammy, malicious, or both. If you can’t find the service manual that way, just let me know and I’ll see if I can help get one to you. Hope any of the above is helpful. It’s very interesting and a bit frustrating but all good. Making sure that one puts back what one takes apart is very challenging as I’m sure you know. I did try to download a Service Manual previously but no luck … I shall try your link address. Well, I found the Service Manual and it makes all the difference in the world when you’re trying to repair it yourself. So far so good …. but I need to replace the lithium battery on the SD Card P.C.B. and then see if I can regain power to the camera. If not I may have to replace some boards that may have been damage by water….but we’ll see. Rick, another thought, re parts that you might need: you might find a non-working ZS10 for sale on ebay cheaply for parts, even one that just has something mechanical wrong with it. That is how I found my ZS8. Non-working digicams often come up for sale on ebay for a few dollars. You might just find that you can get one working unit out of your present unit plus a for-parts one. Today, it isn’t turning up any for-parts ZS10′s, unfortunately, but they do turn up from time to time. I bought my camera in December of last year as Christmas gift but was not used until late January and now the shutter button is not working well. Based on some comments I read on sites, it is safe to assume that Panasonic will not repair or will charge a great deal. Is there a place to have this repaired at a reasonable price? I haven’t used the camera that much over the course of the year. Camera looks good except some nicks on one corner but that wasn’t from dropping but probably carried without case. Denise, as you likely are already aware from what you’ve posted, most repairs on small electronic items these days, if they get done at all, get done DIY or by hobbyist friends. Electronics repair businesses exist in most cities, though – usually local small businesses rather than chains; you might actually find a local electronic repair shop that will take a look at your camera, but without knowing where you are located, it is hard to recommend any particular repair business. You still have to expect a fair wage to be paid, and you are probably looking at at least an hour of labour. Another thing you could consider doing is taking it to a local high school or college with an electronics program; you might find a teacher there who would want to use it to teach some students about current electronics, via using your camera as a repair project. Also, can you describe in more detail the symptoms that lead you to think that the shutter button is the problem? There might be another cause, such as a setting that can easily be changed to remedy the apparent problem, or, the problem might be more serious. A few more details might help diagnose the cause. Thank you, I am located in Orange County NY 10950. I reached out to Panasonic since issue incurred days after the problem and they would not budge with warranty. I bought Dec 18th last year as a present for me for Christmas. I did not receive my own camera until Christmas and then did not use until end of January. I have only used this camera a handful of times and liked the picture quality but not happy with the quality of the product. I have owned a few Sony and Canon with a lot more use and they have never had issues. With regards to my Panasonic,is technically still taking pictures. However, I must hold down the button and push very hard for a picture to be taken. I feel like I am holding for at least 10 – 15 seconds with great pressure before the picture actually takes. The best is Panasonic is quoting me $195 to have item repaired or replaced….. I only paid about $160 for this camera new from Best Buy last December. If I am going to spend that much, I might as well look for a better deal. I guess I will look around to see if I can get repaired for a reasonable cost. 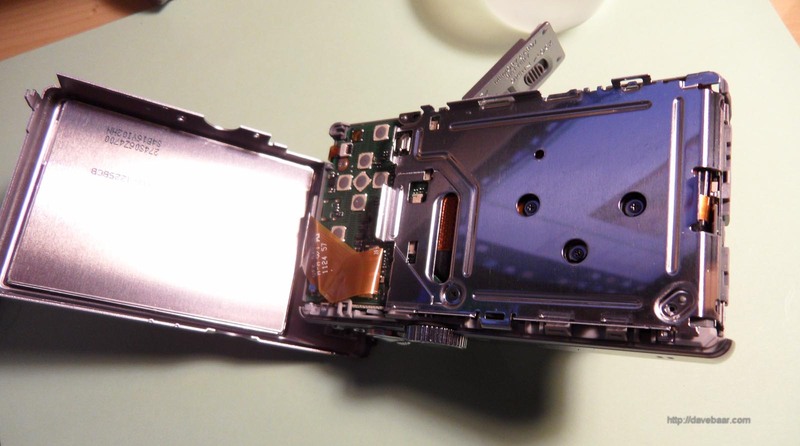 I know if I were to take the camera apart, I would never be able to get it back together. 1. Rather than pressing hard, if you hold down the button gently (just enough to feel it depress to as far as it will easily go) for the same length of time, e.g. 10-15 seconds, does nothing happen? 2. Have you checked that the self-timer isn’t on? Sorry, that might seem like a dumb question, but that might be causing what you are seeing and there might actually be no problem with the camera. If you’re lucky and that’s it, you just need to turn it off in the device settings. Sorry, I won’t have my ZS8 to look at myself until later this week, or I might be able to tell you exactly where to look on the camera for that setting. Hope that helps. Let me know what you find out re the above and I’ll see if I can help further. A lot of people land on this page so you might see others offer advice too. Rick here in Napa …. well, the battery discussed previously will cost $45.00 + SH so … it makes little sense to go further in this direction. So, I will continue to look for used, broken, malfunctioning units thru Ebay and craigs list. So far I have found several ZS10 or similar units for under $70.00 which makes more sense then buying the battery for $45.00. At least I would then have additional parts for any future problems. Best to all those out there that try to repair and not discard. Hey Dave, rick in Napa again …. do you know which models have the same interior (i.e. lens components) as the ZS10 ??? Panasonic has been absolutely no help at all. Hi, Rick. Sorry, I don’t have a solid answer for you but maybe the following will help. I don’t have a list of compatible models, but one suggestion I’ll make is to look up the specifications (google search on the model plus “specifications” will probably turn up a useful Panasonic page) for any model that you are considering, and see if the lens zoom limits in mm and magnification, as well as the /f numbers are the same as the one you are fixing. That should get you pretty close. Maybe also check that the pixel count is the same, since they often seem to base minor model changes around new, higher pixel count sensors. I recall that some of the variants of that camera have GPS, which may not mattter for the optics but might give you a few more models to look at. Hey Dave, I received the internal batteries (ML421) and . . .
how does it sit between the tabs? Positive up or down? And, I have had no luck in locating used broken replacement ZS10 cameras. (I think by the seller) at $19.90 (+$6.95 S&H) …. but that is a “fixed” system in my opinion and will never do it again. 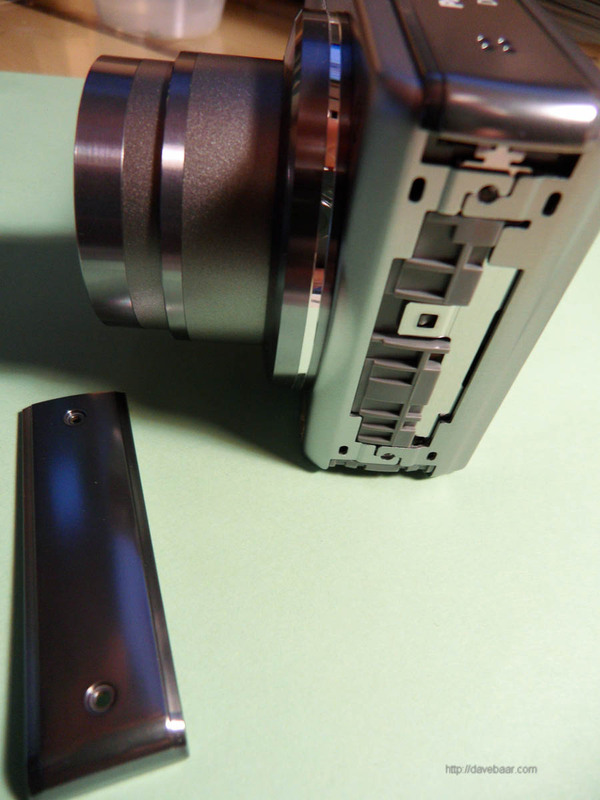 We sent our ZS10 for warranty repair and to make a long story short it is quite an ordeal.They have sent us picture of a camera (no way to tell it is really ours) showing some chemical burn inside. Is there a way to know if it is really ours: can the serial number of the camera be found anywhere inside the camera? Marie, I looked at the pictures of the inside of mine and didn’t see anything inside that matched the serial number on the outside. However, one telltale sign you could look for is in date codes that will be on some of the inside parts. In my case, some of the ribbon cables have them. These are typically in YYWW format (last 2 digits of year, then the week number, e.g. 1124 would be 24th week of 2011). If any of those of the purported inside are from after you bought your camera (or after any date-stamped manufacturing seals on the outside), you can be sure that something questionable is going on and those insides aren’t from the same shell. Thanks so much for this, I was having major issues with my camera and it turns out this was the exact problem. Saves me from having to try and find the exact same model (as I have the underwater casing for this one). I am suddenly having these spots show up on my photographs. I have cleaned the lens, and they are still there. Do you think disassembling and cleaning the camera parts might help this issue? I see someone commented on the floater question above, and while I am not unwilling to give it a try, just wanted verification that taking the working camera apart I will be able to see the source of these spots? Thanks this is a very informative blog. 1. Are the spots in focus (edges look sharp and the spots look distinct), or are they blurred? 2. Are the spots in the exact same pixel location on the photo even when you change the zoom, or do they change in position? Dust or other particles on the sensor will typically be very distinct, and will generally not change position as zoom changes (unless the particles move). Taking the camera apart is risky and time consuming. The above questions should help find out if it’s worth the trouble. The spots were in the exact same place, and there were about four of them. The spots were very distinct. What I did was follow your excellent blog to discover Steve Johnson’s excellent video + written instructions on how to disassemble/reassemble the unit. http://minimalistphotography101.com/removing-dust-from-a-lumix-zs8-sensor/ While it was definitely time consuming, and I was, to be sure, a bit intimidated by the small screws and the disassembly process in general, my options were to spend money on the repair, ditch the camera and buy a new one, or give it a shot. Well, I gave it a shot, and viola! No more floaters! YAY! I am a happy camper!! Thanks to you and to Steve! Technology need not be so intimidating. Of course, reading Steve’s disclaimer about how tinkering around will invalidate any warranty was again, one of those moments when you have to make a choice. Now I am happy it wasn’t a stuck lens zoom, as that looks a lot more challenging to repair! Thank you again, great blog. Karen, I’m so glad that you were able to fix the dust spot problem on your camera, and that my blog was any use to you. That news of success made my day. I’m currently writing a book about the value behind doing repairs such as what you just did, maybe about 6 months away from completing it. If that sounds of any interest to you, please check back on my website in a while for news of the book. Also, I’m looking for advice on getting that book published, so if you happen to have any insights/experience on that, please let me know. 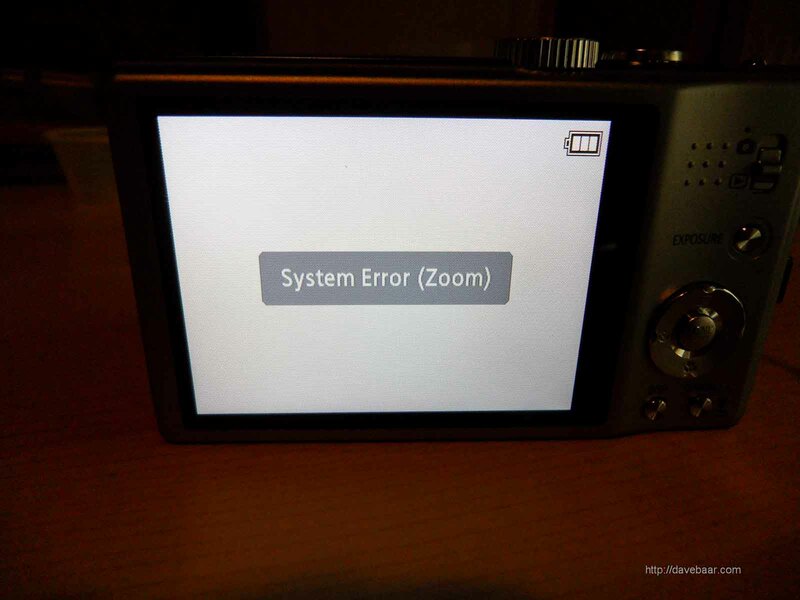 My Lumix will not return to close position when shut down, and have focus error. When turned back on lense retracts and then returns to full extension. Removed lense, disengaged focus motor and moved lense to closed position. Reassembled, but same result. My Lumix will not close when powered down, and there is a focus error. When restarted the lense closes and then returns to the extenede position as before. I removed the lense and disengaged the focus motor to move the lense to the closed position. When restarted the problem is the same. 1. Maybe the camera isn’t sensing the lens position correctly. Check that the cable from the lens to the circuit board is properly seated, and maybe try taking it out and reconnecting it. While you have it disconnected, inspect the cable closely for breaks or dirt on the contacts. Also look for dirt on any position sensors on the lens. 2. Unlikely to be the cause but make absolutely sure that you have a fully charged battery. Check it with a voltmeter after charging and see if it holds a charge and the voltage is up to spec. You can get undefined, incorrect behaviours on low battery in some cases. I have a Panasonic DMC-ZS5. The problem I have is that the camera automaticaly starts zooming foward when a turn it on. Is there any way to disassemble the zoom lever to see if its stuck or have some dirty on the inside? Hi, Claudio. I’ve never taken the zoom lever apart on a similar model, but that is one potential cause to look at. You’d have a bit more disassembly to do on the front part of the case than I show in my pictures, since it looks like the main circuit board may have to come out before you can access that lever, or there might be a top panel that has to come off. Other potential causes to look at first might be a ribbon cable to the top panel that could be not well connected in a socket or otherwise damaged, or a lens position sensor that has slipped out of place. Hello Dave. First, thanks for being so helpful with these cameras. I have a Lumix DMC-ZS10, a terrific little camera. A few days ago it developed a black spot (more of a gray out-of-focus area) that shows on the lcd and the photos, just above center. The lens is clean; however, using a magnifying lens, there is a tiny white “particle” inside the outer glass of the lens. But, this particle is near the bottom, outer edge of the glass, not directly in line with the smaller lens opening. Based on some of your questions in this string, the spot stays in the same place when I zoom in; however, at the furthest zoom, it has a darker center surrounded by the fuzzy gray area. Hi, Paul. As I’m sure you’re already aware, labour rates for repair are often pretty high (for good reasons, mostly) and might be prohibitive in this case. From the detailed information you posted, it sounds like the particle causing the spot might not be that white one near the edge of the glass. Not certain yet. The cameras are fairly well (but not perfectly) sealed from external dust, but sometimes it does get in. Another source of particles is that of mechanical wear of the moving parts, that can sometimes result in small particles that get into the optical path. The fuzziness of the perimeter is an indication that the problem is likely not on the sensor (again, not certain, since diffraction and other effects can result in blurry edges). Here’s a first suggestion I have for you, before you venture into taking the camera apart: try using a vacuum cleaner near the lens to see if you can get the spot to move (compressed air is an alternative, but I prefer vacuum since you are more likely to get the particle out of the way with it). What I often use is a small piece of flexible tubing, about 2-3mm in diameter, taped to the end of a big shop vac to have a controlled, localized vacuum source. I get tubing like that as stripped insulation from household wire. You could also try gently moving the camera around, and tipping it upside down while vacuuming, in case the problem particle just moves out of the way. That also might give you some indication of whether it is loose dust or possibly a deposit stuck on the lens left behind from some liquid that condensed inside and then perhaps evaporated. Let’s see if that reveals anything. If not, probably the next step is to at least take the outer covers of the case off to see if that exposes anything helpful. Hope that is any help. Thankyou-thankyou-thankyou! There were little bits of dust and stray fibery things showing up in my pictures. I guess when the camera lense retracts into the camera body anything on the outside of the lens housing can be drawn into the camera. 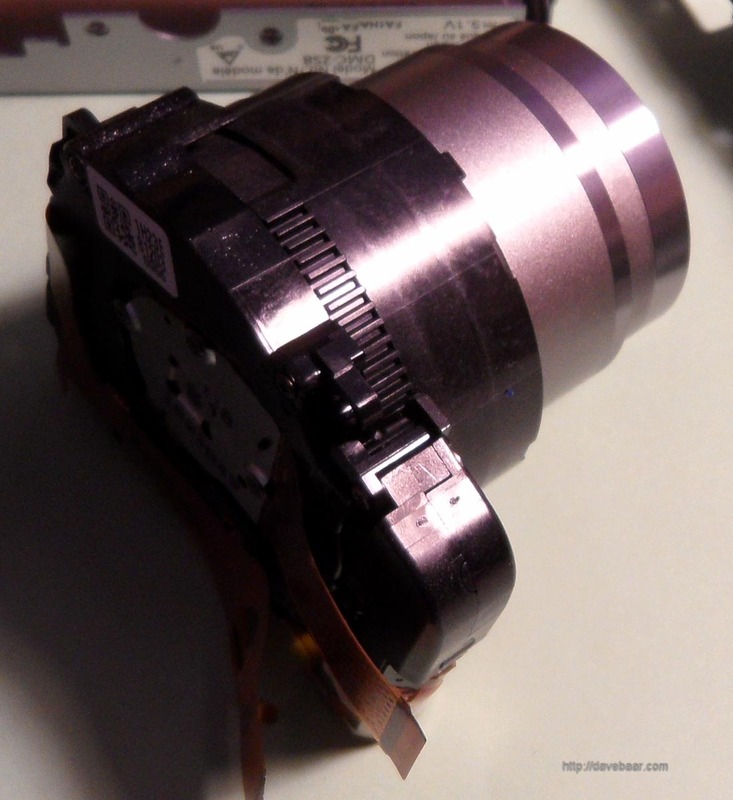 So after disassembling down past the shield plate to the lens assembly I removed the 3 screws holding the little image sensor which is attached the camera with a ribbon cable. Without removing ribbon cable I lifted up the image sensor. A couple shots of air and all cleaned up. Reassemble. Clear pictures again! BTW for tooling I needed Philips screwdriver #00, magnetized tip. I use this camera all the time for my blog and family snapshots. Franco, I’m so glad my blog post was of use to you and that you successfully cleaned the dust off the sensor in your camera. Very interesting blog on the fiber arts that you have! Hello Dave: fixed it! I decided this morning to crack it open and clean the sensor. I checked with a local camera repair shop, and they wanted $85 and about 2 weeks to clean it – this seems reasonable, but I figured, what the heck. I have ifixit on my iPad, and they have a guide for a similar model, with some notes for the ZS10. I found a few discrepancies, however, and made some notes, took some pix. Please let me know if you want either. Anyway, once I got to the sensor, there it was, a big dust goober. All gone! I put it back together, put the battery in, turned it on, the lens came out, and there was no image on the screen! Damn! I found the problem: of the PCB connectors, one of them has to have the gold side down, the other 2 gold side up. Note to self, look carefully before pulling them out to see how they are oriented. And, the only part left over when the camera was back together was a tiny piece of grey foam; this must have been between two flat pieces, but I have no idea where. So thanks for the help and encouragement. Hello, Paul. That’s great! Very glad that my blog was any help, and I appreciate the feedback. I’m working on a book now about the importance of doing repairs and of making products last longer. 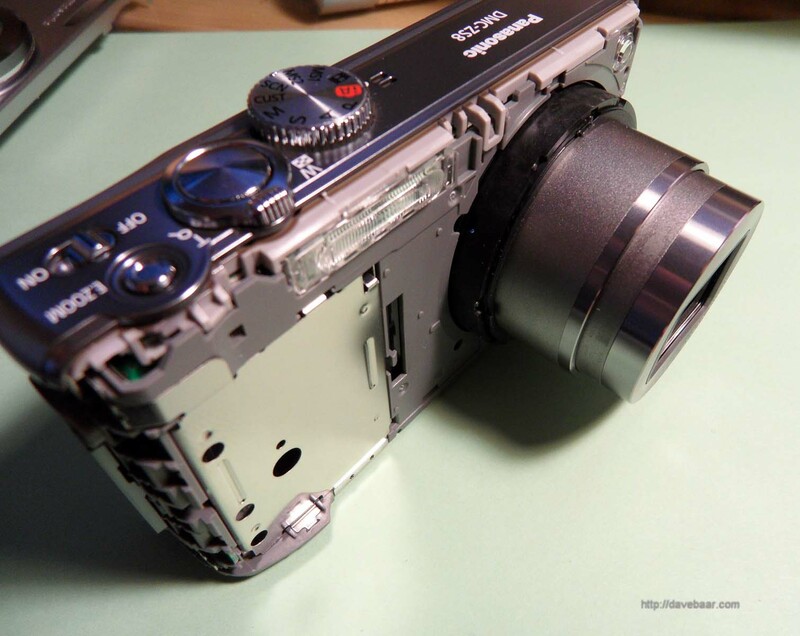 The book is more about the general case of “why do it” than the specific repair projects like this camera repair that I post on my blog. Should be finished in a few months; please stay tuned for news of the book. Well. I managed to disassembled the camera. Mine was the one with the zoom lever problem (Comment 61). So I was able to clean the zoom lever and the rest of the camera with a compressed air can. Now it works fine. Hi, Claudio. Glad to hear that you got it fixed. Many thanks for all your useful hints. 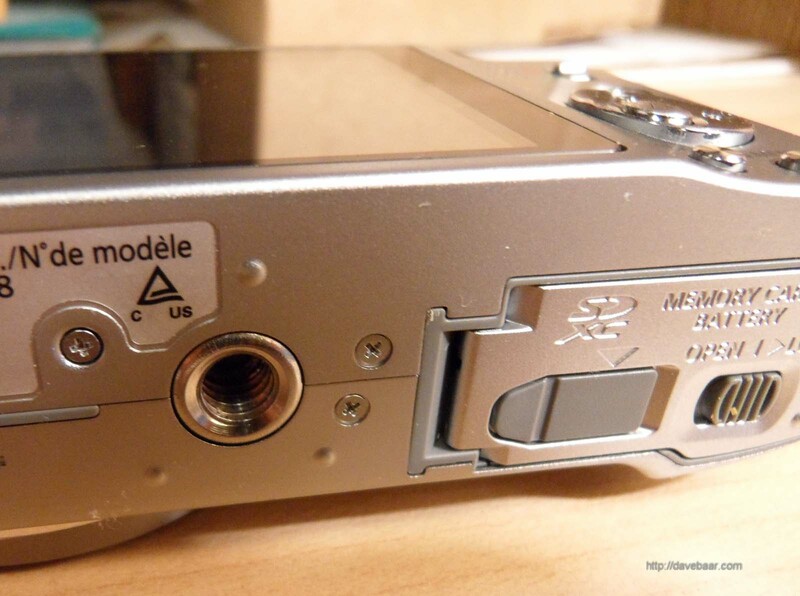 I have a Lumix DMC-ZS10, which has seen a lot and probably had some harder times than it is designed for. However, picture quality and reliability were still great until just recently it started turning itself off and on. After a while it ended up with the following cycle ervery time I switched it on: Zoom would expand half way, than a bit back only to fully expand thereafter. During that it tried to focus. When fully expanded it did a snap, retracted completely and showed the following error message on the screen: “System Error (Focus)”. I opened the thing following your various descriptions, including the one in comment 27. Unfortunately the issue didn’t go away. Opening the thing again I discovered that apparently there is an issue with the zoom not detecting its own position. Even when fully extended the motor would still like to run further. Probably by detection of high motor current it then decides to retract. That is when I did hear the snapping noise. thank you for this wonderful how-to repair article…now here’s hoping I’ll know how to use it effectively!! I have searched and am having a heck of a time figuring out just the part number and where to get it cheap – it is the unit that has the 4 wire contact, not the LCD itself. If you could send me the part number I could do my search online for a good deal. Hi, Marshall. Sorry, I don’t have that part number, but I have a suggestion for you. Unfortunately, my ZS8 is in assembled state and miles away from me right now, so I can’t even take it apart to look for you. Also, my photos for my blog don’t seem to reveal that part number, and we can’t even be certain that the ZS8 has the same part. However, what you might do is search ebay for an inexpensive ZS7 being sold “As Is” that might still have that part in working condition – I often harvest parts from cheap broken units obtained that way. It’s been a while but I finally got a ZS10 that was dropped in beach sand but appears to be in working order except the lens are stuck in the closed position … So, I broke it down but the issue now is that can’t get the outer rotary frame off … service manual instructions indicate that I need to rotate the outer rotary frame so that the cam pin is in place to lift out the lenses….But, I can’t move it, therefore I cannot line up the cam pin to extract the lenses. And, as the plastic is not that hard I don’t want to put too much pressure anywhere to avoid breaking anything. There must be a way … but … alas I am at a loss. Any thoughts ??? I have a Panasonic DMC-ZS10 camera where dust and dirt has landed on the CCD sensor twice. The first time, I sent the camera out for warranty service and that was in late October 2012. It happened again on Friday, April 18, 2014. Now that camera is out of warranty and it would cost me at least $150 to have the camera serviced by an independent. It would have cost $180 through Panasonic. I did order a brand new camera. However, after looking at the website, I decided to tackle the job myself. I did not have the correct jeweler’s screwdriver though. Yesterday, Sunday, April 20, 2014, I checked the Sears website and found that they appeared to have a suitable jeweler’s screwdriver available at a nearby store. I headed to the Sears store and found that they had a suitable jeweler’s screwdriver. I went to the cashier and paid for it and then brought it home. As soon as I got home, I proceeded to disassemble camera. First I removed both the memory card and the battery. It did not take me long to get to the CCD sensor and sure enough it had dust particles on it. I blew them off the CCD sensor very gently with the canned air. Then I reassembled the camera. Then I put both the battery and the memory card back into the camera. Then I looked at the viewfinder. There were no more specks on the screen. Not only that, the camera still functioned properly and now the camera is still usable. even though I’m getting the new camera, I’m going to keep the old one since it still works and I saved a small bundle of money by doing the job myself. I also saved a considerable amount of downtime too by doing the job myself. Well done, Jeff. It’s nice to find out that the article helped someone fix their camera. I wonder if anyone can help me out. I dropped my Panasonic Lumix DMC-SZ7 into a cooler of water and didn’t find it until later that day. It won’t turn on at all. I tried recharging the battery and it still won’t come on. I’m afraid that it may be a gonner. Is there anything I can do? Brenda, if it did turn on after that, you are likely to have at least minor image quality problems due to material dissolved in the water and then deposited on any surfaces in the optical path as the water inside dries out. However, all may not be lost yet and such dirt deposits are likely to be pretty minor. Did the battery show as fully charged after you had it on the charger? If so, that’s a good start. With no battery in the camera, put the camera in a dry location, with all the compartment doors open (battery cover, and all the connector covers open). Preferably it should be oriented in normal shooting position so best case water runs off the sensor rather than drying on it and leaving deposits. Leave it to dry for at least a day. If you want, you can even try a hair dryer on it to warm it very slightly and cause some air flow, but only at low temperature; don’t use a hot setting that you can’t e.g. comfortably have your own hand in. After a day of drying, put a fully charged battery back in and try it again. If that fails, check back here and I’ll give you some other suggestions. Also, if the battery is showing as fully charged on the charger, it is probably OK, but just to be sure, if you know someone with the same camera, see if you can try their battery in yours. There is a chance that just the battery was damaged, but this is unlikely if it is reported as charged on the charger. We have our 2nd ZS8 after the first suffered a horrific go cart incident. It has been a champ until today when we noticed the flash will not fire in any mode. Still takes pictures, and AF Assist light comes in, but no flash. With the camera switched off slide the ‘Zoom lever’ to the right (T) position and hold down the ‘Shutter’ button for a few seconds then switch the camera on. You need to still be holding the ‘Zoom lever’ and ‘Shutter’ button. This seems to force reset the zoom to full extent. Then switch off the camera, the zoom may stay fully extended. Try cleaning the outside of the lens barrels to make sure there is no dirt on them. Then With the camera switched off slide the ‘Zoom lever’ to the left (W) position and hold down the ‘Shutter’ button for a few seconds then switch the camera on. You need to still be holding the ‘Zoom lever’ and ‘Shutter’ button. This seems to force reset the zoom to minimum extent. Then switch the camera off. Hopefully the camera is now in is normal closed off position. Switch the camera on and it should be operating normally. If not repeat the above a couple of times. Hi I have a ZS20 and the LCD has gone dark. It is barely visible if I tilt it just the right way in the right lighting. I was able to reset the camera this way since menus can barely be seen (white background), but the LCD is useless for trying to take pictures. It will still take pictures OK. Any idea why the. LCD screen has gone so dark? Andrew, several things could cause the LCD to go dark. Most likely the backlight has failed. If you have to replace the LCD, one can often find replacement LCDs on eBay and some internet sources. Hi, i have a Tz8 with system error(focus), disassembled the lens, put some fine grease on the focus shaft and the error dissapeared, but a new problem began, the camera is only focusing with the zoom retracted and fully expanded. I can hear the focus motor sound. Thanks! Hello, first of all, YOU ARE AWESOME! thank you for sharing all of this DYI info. I so appreciate it. I have a Panansonic Lumix DMC ZS8. Love it. The last one i had i dropped into the river when i had a kayaking mishap and never found it! (oops) this is my second. My camera has several fuzzy spots that stay in the same place, even when i zoom in and out, and they DO show up on uploaded pictures. They are most visible when there is a light, sky background. My boyfriends seems to remember once when I accidentally knocked the camera on the side of the boat there seemed to be more spots after that. Any suggestions? Hi, Deborah. Thanks for the comments. As for the fuzzy spots, since, as you note, the spots don’t change position with zoom, they are likely coming from dirt/deposits either on the sensor or at the very back optical surface of the lens assembly. I think that you will need to take the camera apart to clean those areas. Given the high cost of a professional repair, it might well be worth taking your camera apart and gently cleaning those areas. It is likely that the dirty areas will be large enough to see. Use a soft cloth, dampened with clean water if the dirt is stuck-on deposits. A mild lens cleaning solution such as is used for cleaning eyeglasses might also be needed but be careful not to use much of it and keep it to the optical and sensor surfaces. Hey Dave, Hope all’s going well in your corner of the world . . . I have a Canon 110HS and replaced the lens (China) but the lens keeps going in and out until I turn it off. The LED will not light up either. Any ideas …. maybe the camera was dropped in water and fried the board ??? Rick, lots of possible causes of that behaviour, but maybe we can rule out a few quickly: Have you tried removing the battery completely, then full recharge externally, then re-insert battery and try again to see if problem is still present? Also, if you can, try a new battery if you can find someone else with same or equivalent model to borrow from. Sometimes you can get strange behaviours if the battery is just below a threshold voltage. Hello, and thank you for the posts. 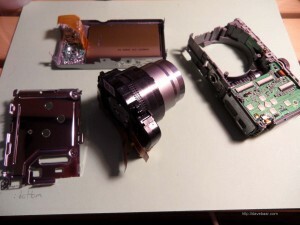 I have a Lumix DMC-zs15, i had dust on the lens and dissassembled it … cleaned it, perfect! Currently, my photos come out washed out. My question is, what part needs replacing to fix the washed out look on the photos? Wayne, when you say the photos look washed out, what exposure settings are you using? How contrasty is the scene you are photographing? Anything different from “normal”? I was replacing the LCD screen on a lumix DMC-ZS3 and the tiny socket for the small backlight ribbon came off the board. any suggestions as to how to reattach it ? solder it ? Hi, I have a Lumix DMC-TZ1 and recently I turned it on to take pictures and it gave me an error message..Open lens cap and turn on. It zooms to 40x immediately and you cant adjust it.It scrolls through menu options like the button is stuck. I really like this camera but wonder if it can be fixed..any suggestions? 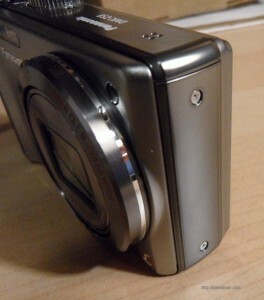 I’m having the same dust on the CCD issue with my Panasonic DMC-ZS20 camera, but I’m not able to get it apart. In the factory, a number of the screws were overtightened resulting in damaged screwheads. 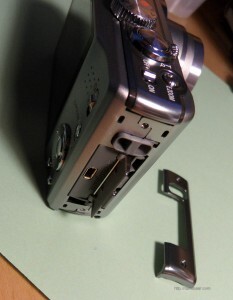 I also have some cosmetic damage to the camera and they were not careful in assembling the camera. I’m going to try a uBreakiFix outfit and I might try to instruct them how to take it apart. I may direct them to the website or a video on YouTube. 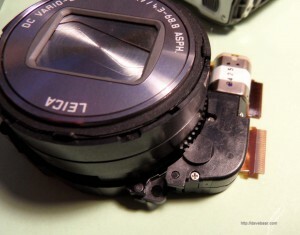 Once the camera is taken apart, it is simple to fix the problem. This time, it will cost me some money. 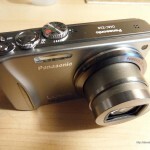 I’m irritated at Panasonic because they weren’t careful in assembling the camera and it isn’t exactly a cheap camera. “The camera problem was that it had the lens stuck open in the extended position. 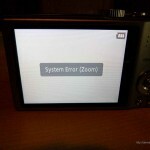 As a result, the camera was nonfunctional and the display showed the error message âSystem Error (Zoom)â. In my case I can disconnect the motor, and it was easily to turn the black lens base with the teeth. But it occures the same error message again.I can hear the zoom-motor working; so it seems to be ok.
Is there some new idea what is to do? thank you all for discussing the problems. I’m a bit late for the show but thanks, you take the fright out of splitting a camera. A related or not problem, I bought an FX7 in beautiful shape-cheap-except the lens was out and the battery dead. I had to figure out how to charge the wierd battery but with some terminal ends, clamps, and Scotch tape I got it charged. Nice little camera, not a scratch. When the lens retracts it makes noise, jittering low key. And it seems loose. I have a FS40 new and it’s not loose. What do you think? Thanks for the information you already provided. Oh I dropped some oil around it and the lens got real slow, so I shot some WD40 at it. Still makes noise. 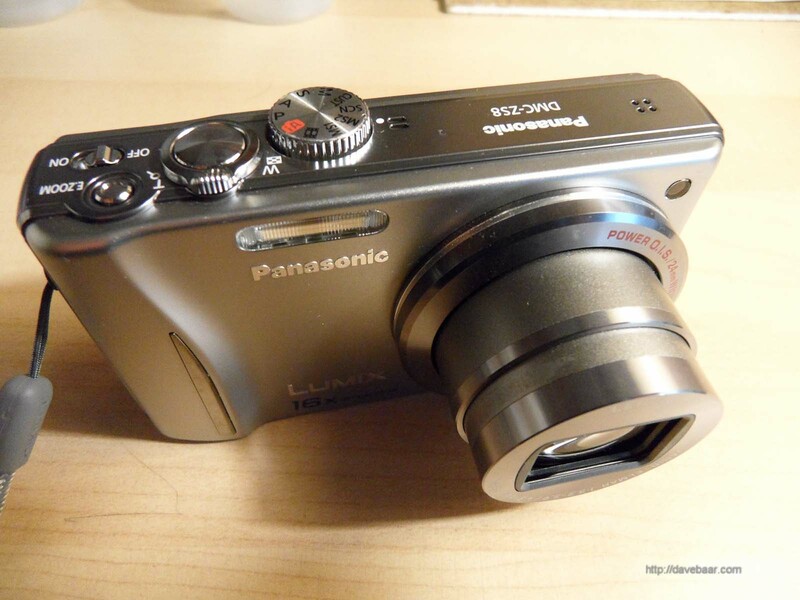 I have a Panasonic DMC ZS19. We did take it apart till we got to the lens, but then it looks different than your pictures, and we didn’t know how to proceed. There are 3 tiny hex screws that seem to hold the lens in place – not the phillips mentioned. At this point, we put it back together again and am afraid to proceed. The problem is System Zoom Error. Do you have any suggestions? I did look on your site for your book but it doesn’t look like it is published yet.